This tab is where you set up the provider to perform eligibility verification inquiries. Allow Eligibility Verification: Click this check box to allow eligibility verification for this provider’s patients. Some payers require that individual providers enroll for eligibility verification. To use the online eligibility verification feature, the provider needs to enroll with the payer through the clearinghouse and obtain an enrollment ID. This table is where you enter the enrollment ID, user ID, and/or password. The other columns display read-only information. Also, not all of the payers in the list will require the enrollment ID, user ID, and/or password. Those that do require some extra eligibility verification information may not require information in all three fields. Eligibility Payer, Payer ID, Receiver ID, Service Type, Payer Type: These columns display information about each payer and are read-only. Enrollment ID: If applicable, enter the enrollment ID for the corresponding payer. Enrollment User ID: If applicable, enter the enrollment user ID for the corresponding payer. Enrollment Password: If applicable, enter the enrollment password for the corresponding payer. 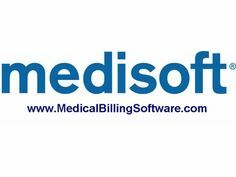 This information is provided for entering and setting up your practice management software program from Medisoft.